Reston, VA — March 14, 2019 — careMESH® , the only service provider that guarantees 100% digital delivery of protected health information to any clinician nationwide, announced that it has expanded its secure communications capabilities to include a comprehensive referral management module. 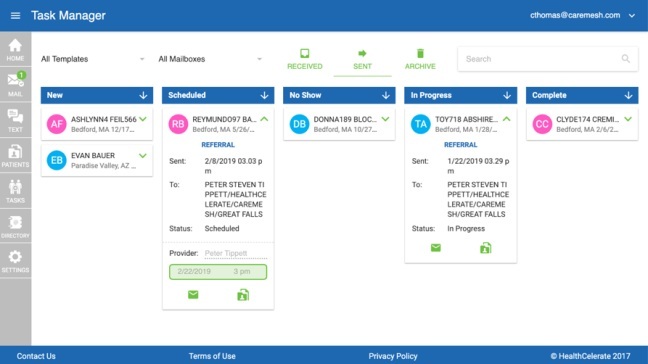 The built-in workflow tools and convenient administrative Task Manager make it easy for users to create a referral, attach a patient record and other relevant care information, and send it digitally to any other healthcare provider in the country. The careMESH Task Manager provides a real-time view of an organization’s patient referrals.